The courtroom testimonies of BioPerformance President, Lowell Mims and Vice President, Gustavo Romero, revealed that they each pocketed millions of dollars from corporate accounts and bought lavish gifts through an illegal scheme. On Thursday, the Texas Attorney General's office won an injunction against BioPerformance, Inc. The injunction prevents the company from marketing its BioPerformance Fuel pills. It also freezes the assets of Lowell Mims and Gustavo Romero, which total over $7,000,000. Not surprisingly, neither Mims nor Romero could be reached for comment. A spokesman for Attorney General Greg Abbott stated that the ruling paves the way for a civil trial to proceed against the company. SAN ANTONIO- Attorney General Greg Abbott hailed a state district court’s decision today upholding his injunction against Dallas-based BioPerformance and its owners Lowell Mims and Gustavo Gus Romero. The temporary injunction issued today by the court continues to bar the defendants from accessing millions of dollars wrongly diverted for personal uses from this illegal pyramid. These funds were frozen when Attorney General Abbott sued BioPerformance on May 16. 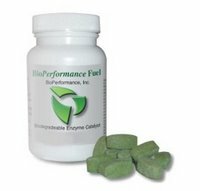 The court order states the fuel pill marketed and sold by BioPerformance does not increase fuel economy, nor does it reduce harmful emissions. It also orders BioPerformance to cease marketing the fuel pill as a product that improves gas mileage..."
"...During the three-day hearing in San Antonio, both defendant's admitted under oath that since the company’s inception in December 2005 they each took millions of dollars from the BioPerformance corporate accounts and deposited them into their personal accounts. These dividends included the creation of trust funds of $2.7 million by Mims and $2.4 million by Romero, each for personal use by the defendants’ families. Both Mims and Romero admitted they personally diverted at least $7.4 million in money from the sale of the bogus fuel efficiency pills. Mims stated that he made several lavish purchases with the dividends he deposited into his account, including $90,000 for a Humvee vehicle, $60,000 for matching Rolex watches for himself and his wife, and a $160,000 payoff of his home mortgage. Defendant Romero admitted that his purchases with BioPerformance money included about $40,000 for a BMW, $15,000 for a ring for his wife, and a $50,000 down payment for a swimming pool for his home. The evidence presented by the Office of the Attorney General also showed that Romero wired hundreds of thousands of dollars to his brother in Mexico, the purported broker that supplied BioPerformance with its raw materials -- powdered naphthalene. Romero said in court that it cost the company about $4 to manufacture each 40 pill bottle, which on its Web site BioPerformance suggested should retail for approximately $50, a markup in excess of 1,000 percent...."
You can read the actual injunction (PDF file) here. It truly reveals some really disturbing facts.